When you are searching for a new car dealer or even a used car dealer, you want only the best Jeep Cherokee or Jeep Compass on the market today. That is why at our Jeep dealership in Elmwood Park, you will find only the best new and certified pre-owned vehicles in the area. We serve the residents of Elmwood Park and the surrounding areas with pride and impeccable service that is unparalleled in the industry today. If you are searching for a Jeep dealer, a Dodge dealer, a Chrysler dealer or even a Ram dealer, you have come to the right place. 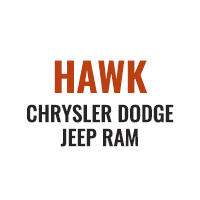 No one does cars and trucks as we do at Hawk Chrysler Jeep Dodge Ram. Below, you can find some of the makes and models we offer to help you start deciding on the best choice for you. We have a vehicle for almost every budget and will work hard to ensure you leave our SUVs dealer lot with the car or truck you desire at a price you can afford. Did you know purchasing a new or used vehicle can be fun? Our goal at Hawk Chrysler Dodge Jeep is to provide our valued customers with the highest quality vehicles in Elmwood Park, which is why we are your preferred cars, trucks and SUVs dealer. Chrysler vehicles are known for their reliability and longevity. As a Chrysler dealer in Elmwood Park, you can feel confident our team has scoured the nation to find the best of the best when it comes to new and used models. As a reliable used car dealer, you can count on us to only provide the best in Chrysler models. Do you want to shop for the latest Dodge models available? Do you have your eye on an older model, but can’t seem to find what you are looking for? As a Dodge dealer, we take pride in making sure you get just what you want, keeping a huge inventory of quality new and used Dodge vehicles on-hand at all times. As a trusted Jeep dealership, you can count on our Jeep dealers to provide you with just what you are looking for. While you will always find an array of options on-site, including the popular Jeep Compass and Jeep Cherokee, we also are a pre-owned car dealer. We have the Jeep you want. You don’t have to break the bank to get a great Ram vehicle. We are also a Ram dealer, helping you find the vehicle that’s right for you. Now that you know what we have to offer the residents of Elmwood Park and the surrounding areas, visit Hawk Chrysler Dodge Jeep and let us help you drive away in the car or truck of your dreams. Whether you are searching for new or used, we have what you need and will be happy to help you find it. We look forward to seeing you soon! If you are looking for a quality used or new car dealer in Elmwood Park, look no further than our team at Hawk Chrysler Dodge Jeep. Contact us today to learn more.